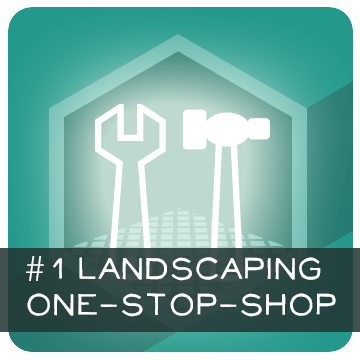 Contra Costa County's #1 Landscaping Service! Donisi Landscape Construction Co. brings a high level of expertise and workmanship that clients continue to enjoy and show off to friends for years after the project’s completion. A passion for the art of landscaping continues to grow for owner Luca Donisi at Donisi Landscape Construction. Working as a landscaper in Walnut Creek and local areas since 1983, Donisi Landscape Construction has transformed hundreds of yards into beautiful extensions of home living spaces. Combining hardscaping elements with the many plants native to the Mediterranean climate typical of the East Bay area is a responsible approach to beautifying properties and one that Donisi Landscape Construction Co. embraces and encourages its clients to adopt. Contrary to common belief, colorful, lush and attractive landscapes can be achieved with locally native plants that actually require less water and upkeep than their more thirsty foreign relatives. In the Contra Costa foothills of Mt. Diablo these native plants can be found thriving from Walnut Creek to Clayton. Donisi Landscape Construction Co. can create a beautifully customized landscape for you that requires less water, less maintenance, and is environmentally friendly. By using beautiful naturally occurring mediterranean climate plants, we ensure that your garden will grow with the least amount of maintenance needed. Save water and time through this! We handle everything when it comes to your project. You don't need do the work finding electricians or plumbing specialists, because we have many connections with the best service providers in the area!